Jonathan Coe FRSL (/koʊ/; born 19 August 1961) is an English novelist and writer. His work has an underlying preoccupation with political issues, although this serious engagement is often expressed comically in the form of satire. For example, What a Carve Up! reworks the plot of an old 1960s spoof horror film of the same name. It is set within the "carve up" of the UK's resources which some feel was carried out by Margaret Thatcher's Conservative governments of the 1980s. One claim to fame that Coe has is writing the longest sentence in the literature of the English language, one that appeared in The Rotters' Club and appears to hold the record at 13,955 words (ahead of James Joyce's soliloquy by Molly Bloom in Ulysses). The House of Sleep - Jonathan Coe's comic tale of love and obsession Sarah is a narcoleptic who has dreams so vivid she mistakes them for real events; Robert has his life changed for ever by the misunderstandings arising from her condition; Terry, the insomniac, spends his wakeful nights fuelling his obsession with movies; and the increasingly unstable Dr Gregory Dudden sees sleep as a life-shortening disease which must be eradicated. . . A group of students sharing a house. They fall in and out of love, they drift apart. Yet a decade later they are drawn back together by a series of coincidences involving their obsession with sleep - and each other. . . 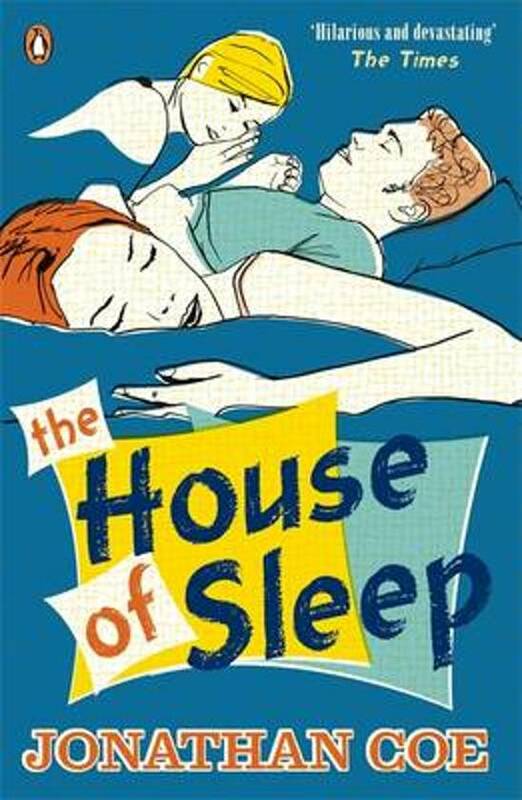 Winner of the 1998 Prix Medicis Etranger, The House of Sleep is an intensely moving and frequently hilarious novel about love, obsession and sleep. 'Moving, clever, pleasurable, smart...one of the best books of the year' Malcolm Bradbury, The Times 'There are bits that make you laugh out loud and others that make your heart ache' Guardian 'Fiercely clever, witty, wise, hopeful...a compellingly beautiful tale of love and loss' The Times Literary Supplement Jonathan Coe's novels are filled with biting political satire, moving and astute observations of life and hilarious set pieces that have made him one of the most popular writers of his generation. His other titles, The Accidental Woman, The Rotters' Club (winner of the Everyman Wodehouse prize), The Closed Circle, The Dwarves of Death, What a Carve Up! (winner of the 1995 John Llewellyn Rhys Prize) and The Rain Before it Falls, are all available as Penguin paperback. Alhoewel het in het begin best lastig kan zijn om 2 verhalen in één te lezen, is het ontzettend aantrekkelijk als je eenmaal in het verhaal zit. Dit verhaal blijft boeien tot het einde. I thought the house of sleep was an intelligent book, worth reading, preferably in a short period of time. It said on the backflap it is a good bedtime read, but I only agree if you hit the sack early and can spend at least an hour reading on. Good British atmosphere in the scenery, interesting characters and great plot!